WASHINGTON (Sputnik) - The Federal Bureau of Investigation (FBI) has determined that the white powder found in a number of suspicious parcels mailed to US politicians was not a biological agent, Assistant Director William Sweeney said in a press conference on Thursday. Terrorists and mischief-makers sometimes post white powder to their targets, sparking fears that it could be lethal spores of anthrax. In 2001 five people died when anthrax was sent to journalists and politicians in the United States. Sputnik looks back at that scare, which remains unsolved and is the subject of several conspiracy theories. MOSCOW (Sputnik) - The European Union Delegation to Russia confirmed receiving a "suspicious envelope" earlier in the day, Luca Eszter Kadar, the mission's head of the Press and Information Section, told Sputnik on Tuesday, adding the investigation into this situation is ongoing. Authorities arrived at former US President Barack Obama's DC office Tuesday to investigate a white powdery substance that was found on the grounds. 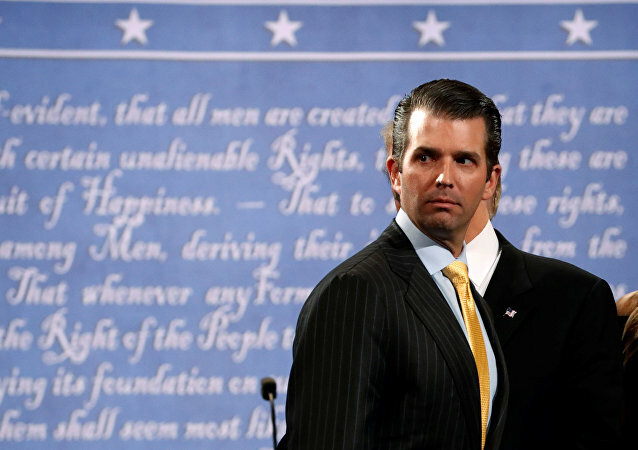 WASHINGTON (Sputnik) – Donald Trump Jr. said on Tuesday that the envelope with a white substance, opened by his wife Vanessa Trump, was sent by people with "opposing views."